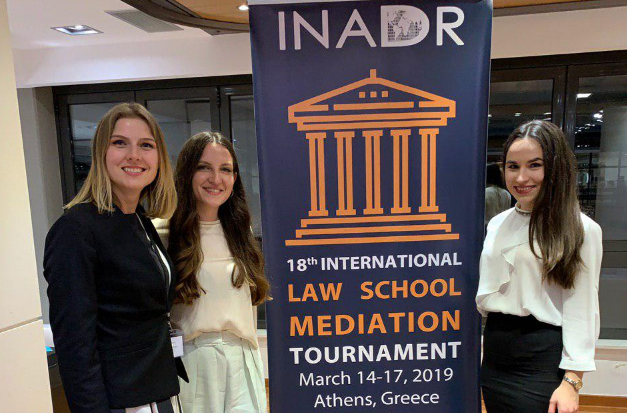 Recently EVERLEGAL has supported a team from Taras Shevchenko National University of Kyiv during the 2019 INADR International Law School Mediation Tournament in Athens, Greece. EVERLEGAL Associate Alina Zhuk coached the team. The team performed great during the tournament and the team members advanced their mediation and negotiation skills. We wish each of them further success in their studies and legal careers. International competitions are great opportunities for making international connections and improving legal and soft skills. EVERLEGAL is proud to be a part of new pages in students' lives, to support and guide the next generation of lawyers!